Do you ever read reviews and think ‘wow…that was the complete opposite of my experience’?Well I do, in fact all the time. However the majority of the time I read those sort of reviews they don’t seem to include a before and after shot, and therefore it leaves me feeling empty, frustrated and confused what to believe. Therefore I like to give my opinion but also SHOW you my experience with a product, and I think with Wonderblur this will be the true decider for whether you want to purchase this or not. I have tried a LOT of primers in my time, all different coverage and consistencies. 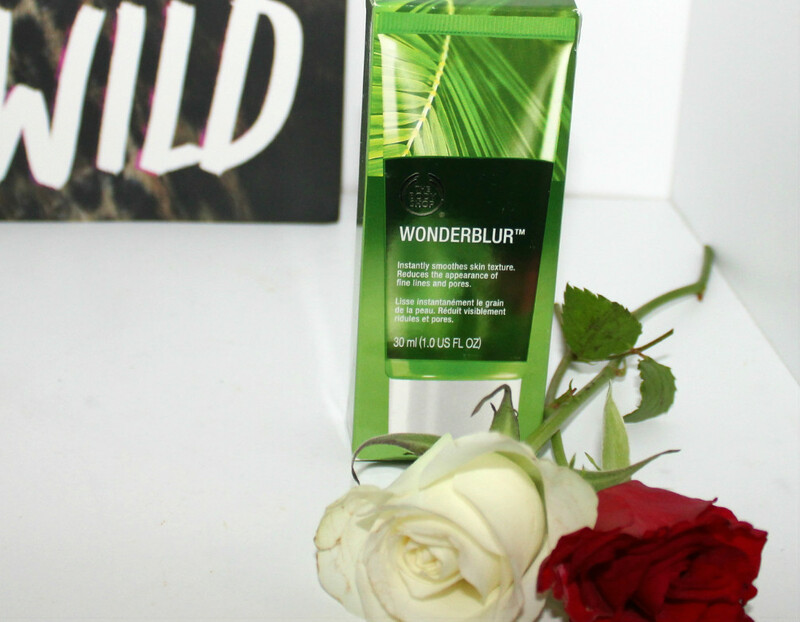 The Body Shop’s Drops of Youth Wonderblur is sold at 30ml per bottle and claims to smooth fine lines, give a flawless finish with 12 hour hydration and is made with Edelweiss stem cells. All of this is welcomed information that I want and need to know, but most importantly I wanted to know immediately if it was worth the £16 price tag and lived up to it’s claims. You are advised to apply after moisturiser or/and as the last step in your skincare routine. For me I use Origins spot gel daily and unfortunately it doesn’t seem that compatible with ANY primers, so for me I have to skip that step and use it at night, if not my spot gel sort of crumbles off into an irritating mess. If I wash my face, tone and moisturise the ‘blur’ seems to apply a lot easier. 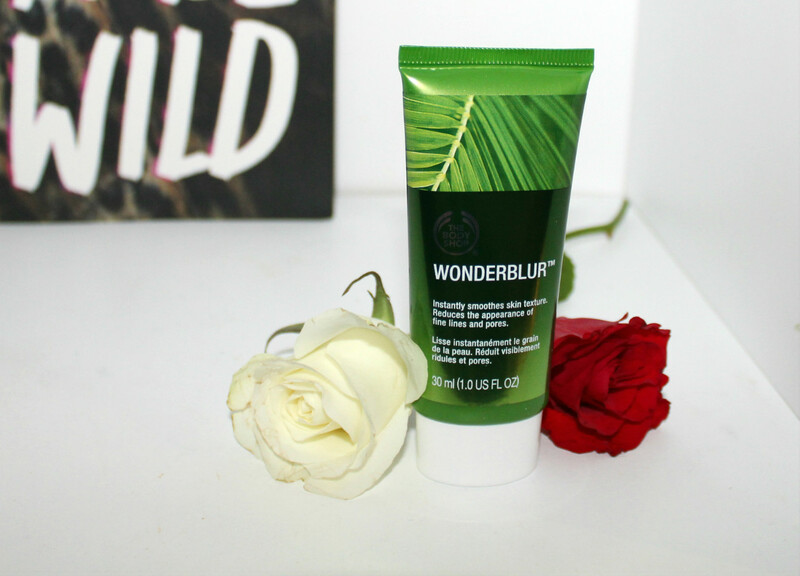 You can definitely feel the Wonderblur on your face as the consistency is very thick but it smooths out onto your skin leaving it feeling super soft but very covered. With that being said please don’t gain a preconception that it feels heavy or unpleasant on your face as it doesn’t at all, it just gives a feeling of protection which is what I want with a primer. It depends on whether you want something thin and not very much pore protection, or whether you need that extra security to smooth out your face. I absolutely love swatches, in fact I will swatch away about pretty much any Beauty product, but when it comes to a primer you really cannot see how it effects your skin. 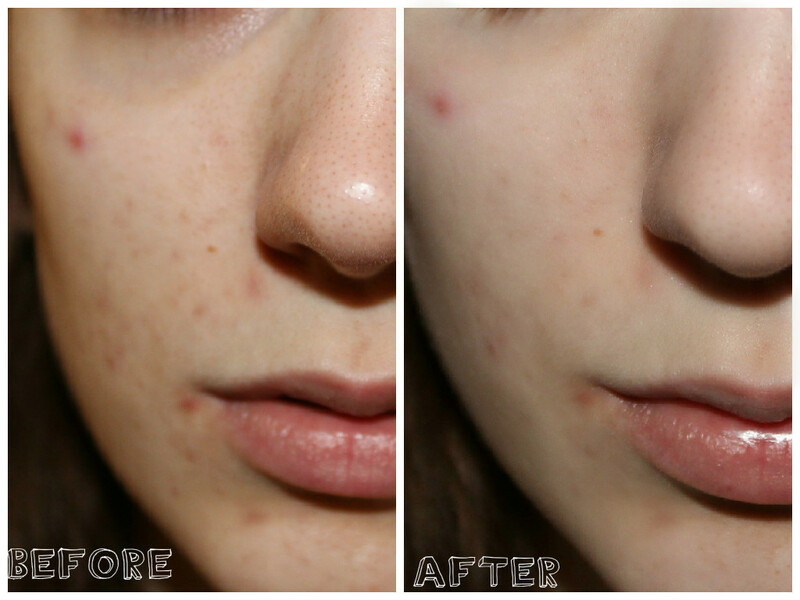 I hope you can get a feel for the consistency, but really I would like for you to see below the before and after shots to witness it’s pore magic. Despite my daily cleansing my pores are BAD! I notice the biggest difference in my nose and how it masks and smooths it. I also think that it reduces the redness and gives a much more smoother appearance like it states. Overall I definitely think it is worth the money if you suffer with skincare problems like me, however it is frustrating that I still haven’t found a primer compatible with my spot gel. 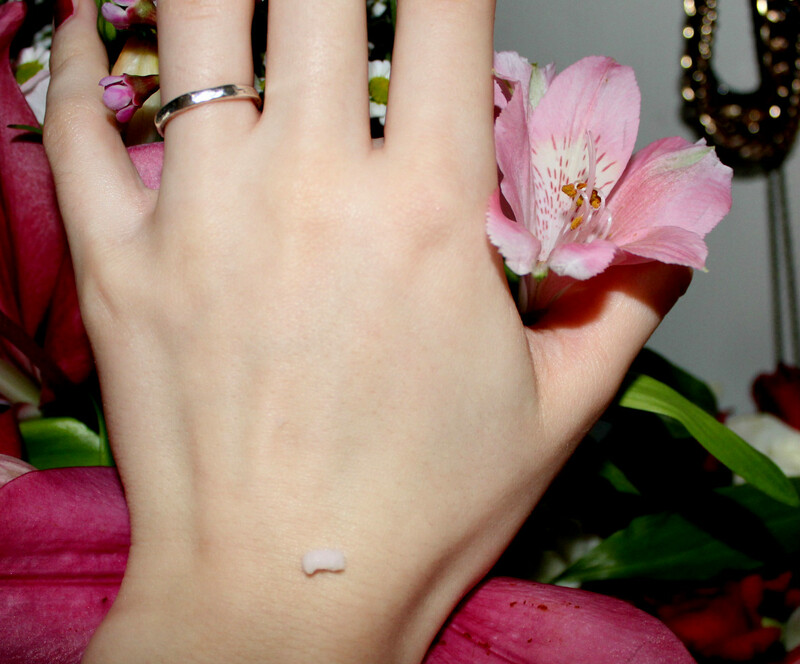 I like the coverage gained from the thick consistency and think that it makes a real difference with my skin. Could I justify the £16 each month? Perhaps with my love my body card and potential Body Shop discounts definitely. 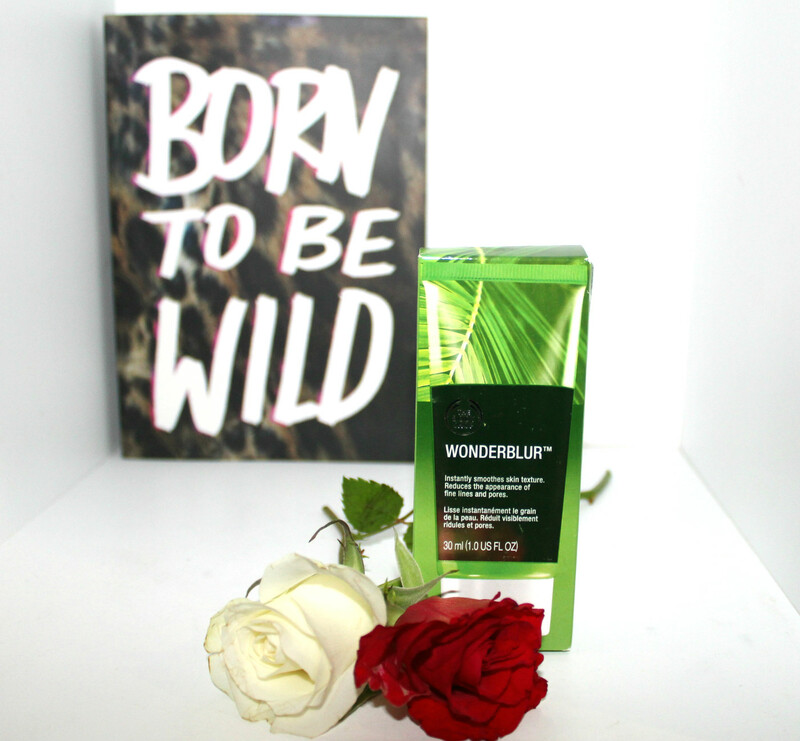 Tags: £2 roses, Body Shop, drops of youth review, drops of youth wonderblur, lidl roses, new beauty releases, new body shop products, primer reviews, south east bloggers, the body shop, the body shop review, wonderblur primer, wonderblur review, worthing blogger. Bookmark the permalink. Wow I can’t believe the before and after difference! It’s annoying it doesn’t work with your spot gel, maybe you could just use it occasionally? That difference is amazing! So glad you did a before and after, I find it so frustrating reading reviews that don’t actually show the product! This product is definitely going on my body shop is definitely going on my ‘list of products i plan to eventually buy’. The results in the photo show me the difference that product make, thanks for the review this product is right up my alley. Sounds like a great product ! definitely want to try this now, I never seem to have much luck with other primers! Wow that really does make a difference! Although, your pores definitely don’t look that bad to begin with! Honestly! I’m loving the Indeed version of this – Nanoblur, but it is more expensive! I was taking before, during, after and ‘way’ after photos to check the progress (ha, bloggers habits), and noticed it did similar things as in – definitely reduced redness, hid pores, but also mattified, not in a powdery way, but my skin looked really even and my usual nose-shine didn’t bust through 2/3hrs after applying foundation. Also, gotta love the fact it covers lines (not that you need that yet!!). The after looks really good, your skin looks so good with the primer alone! The difference in before & after shots is amazing!